Copper cables are an intermediate product made from copper plates. They are very important for manufacturing circuits and electrical connections. Copper cable can also be used to connect power poles. 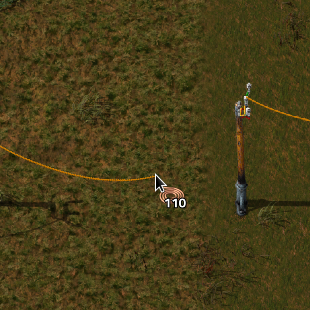 Select the copper cable from your inventory, and connect it with a left click to two electric poles. This way, you can manually wire some of the more complex systems, like making steam engines work only when accumulators are empty. Moved copper wire into the intermediate category in the recipes. This page was last edited on 9 March 2019, at 03:26.